The MIND Diet has been shown to delay the onset of Alzheimer’s symptoms by several years. It includes a variety of greens and vegetables and minimizes unhealthy fats in the diet. The MIND diet is a hybrid of the Mediterranean diet and DASH diet. 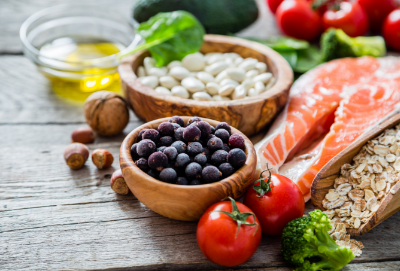 A recent study from the Rush University Medical Center found that the MIND diet cut people’s risk of Alzheimer’s by an average of 53 percent!